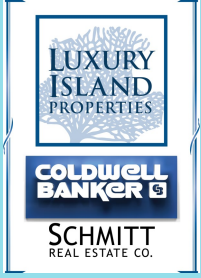 Home » Coldwell Banker Schmitt Real Estate Co.
We are the number-one company in the Florida Keys for number, and dollar volume of sales by a wide margin. Our agents are more than twice as productive as agents in other companies. We are ranked by REAL Trends and RIS Media among the Top 500 real estate companies in the USA; the only Florida Keys real estate company with that distinction. Our success has made us a Chairman’s Circle Coldwell Banker Company ranking in the Top 30 (2%) of all Coldwell Banker companies globally. We’re ranked 30th out of 870 Coldwell Banker companies in North America and 3,100 offices in 51 nations for sales production. We’re ranked 13th among 285 Coldwell Banker affiliate companies in the southern region and 3rd among 44 affiliate companies in Florida. Coldwell Banker Schmitt was founded in 1955, and we are the oldest, largest and most productive real estate company in the Florida Keys.